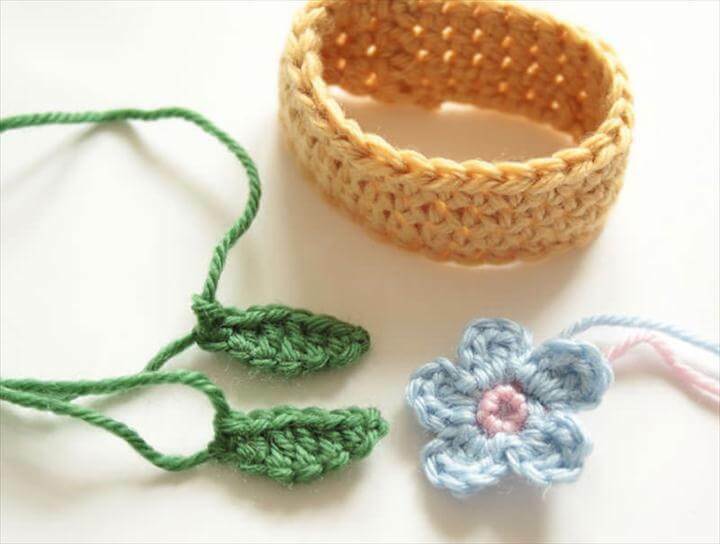 Crochet is a skill that definitely helps in making different kinds of creative items be it decorative stuff for your house, clothing stuff or jewelry. 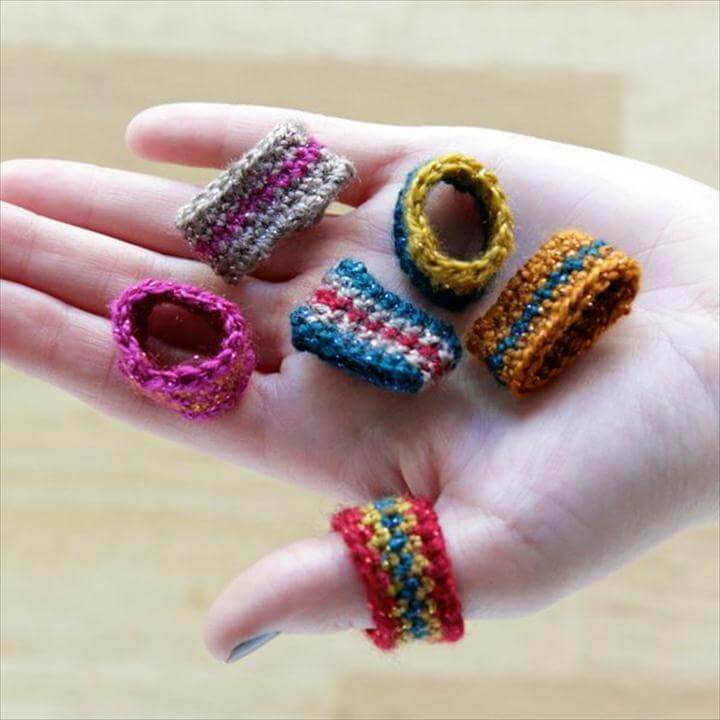 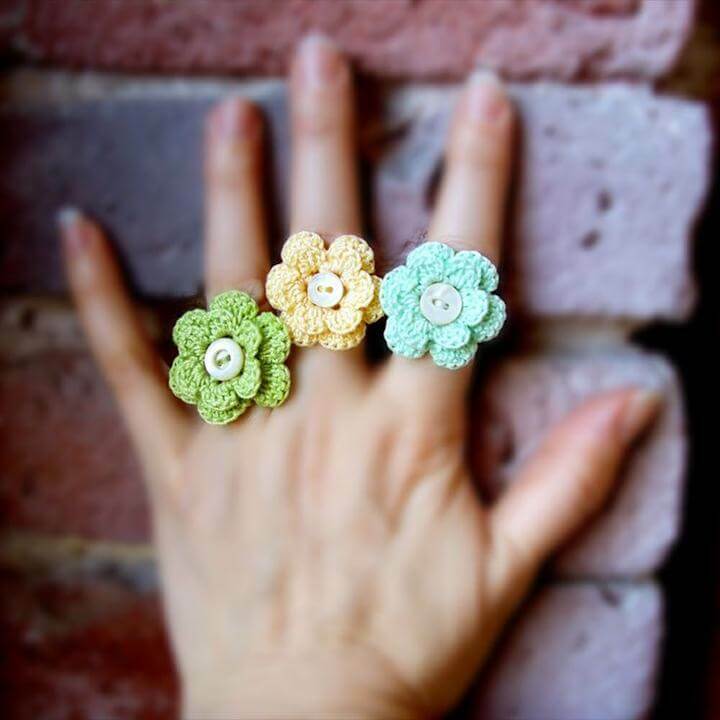 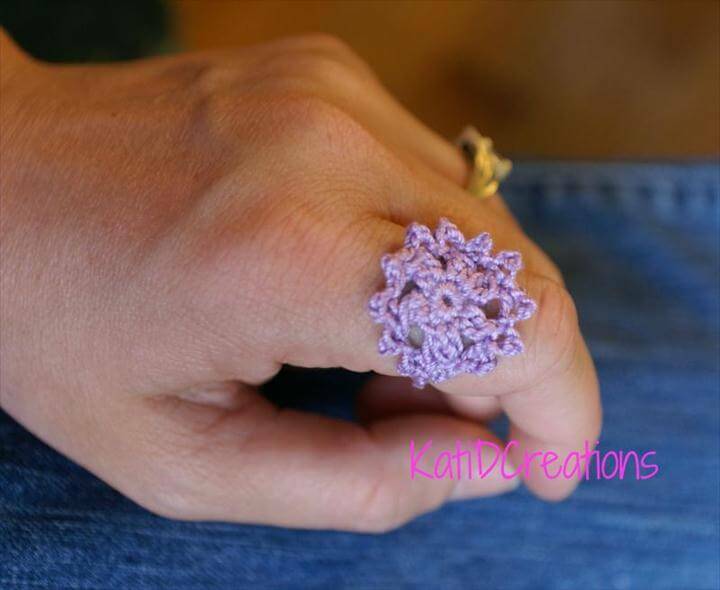 Let us share with you 72 Crochet Rings Free Pattern – Simple To Make exciting and relevant crochet ideas for making beautiful rings to make your hands look more gorgeous than ever. 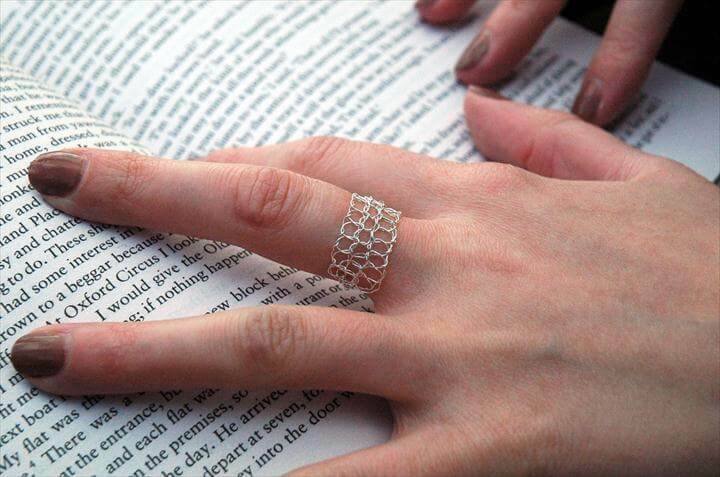 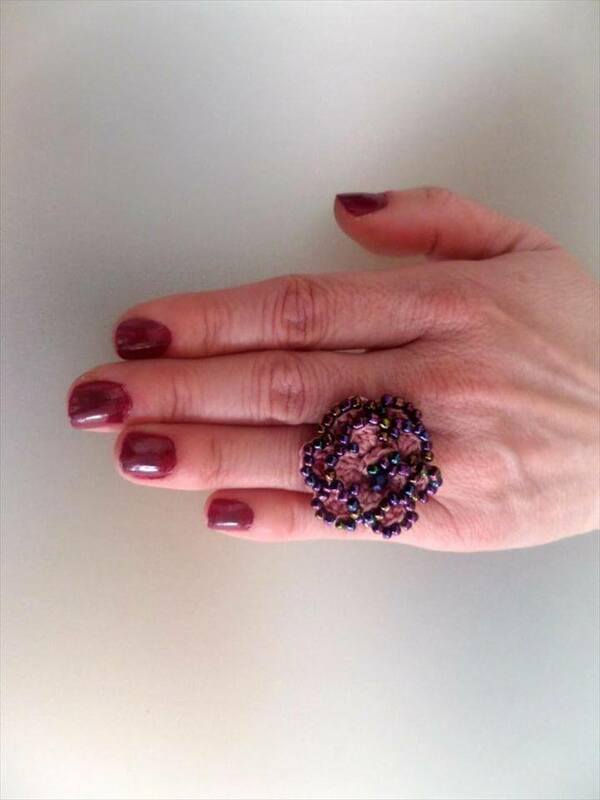 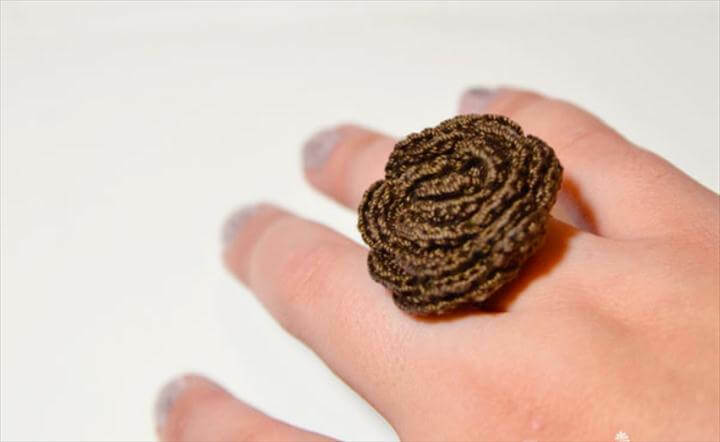 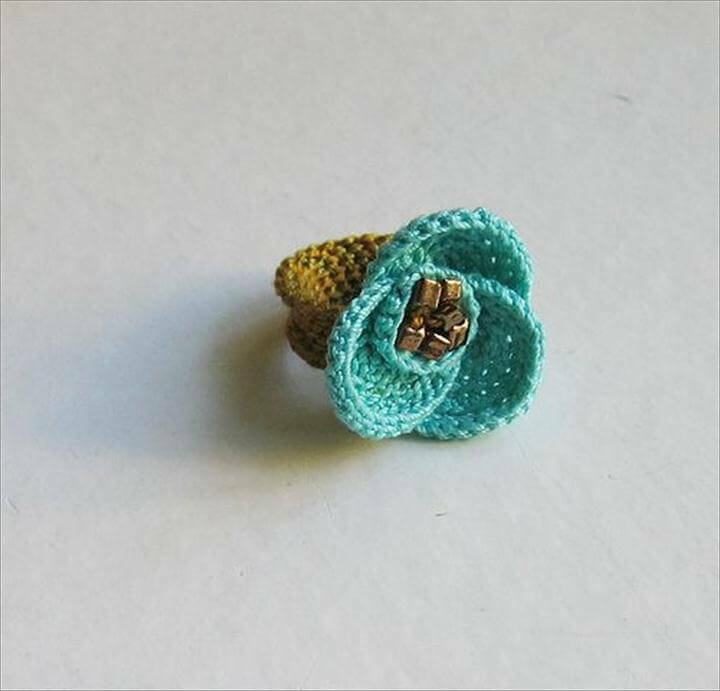 How about starting with a crochet raised ring which is absolutely feminine and classy? 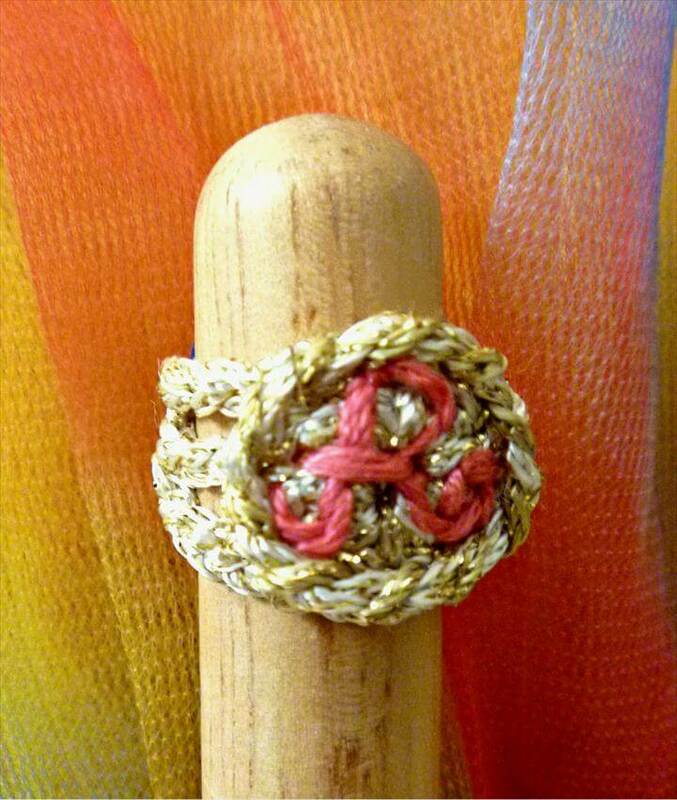 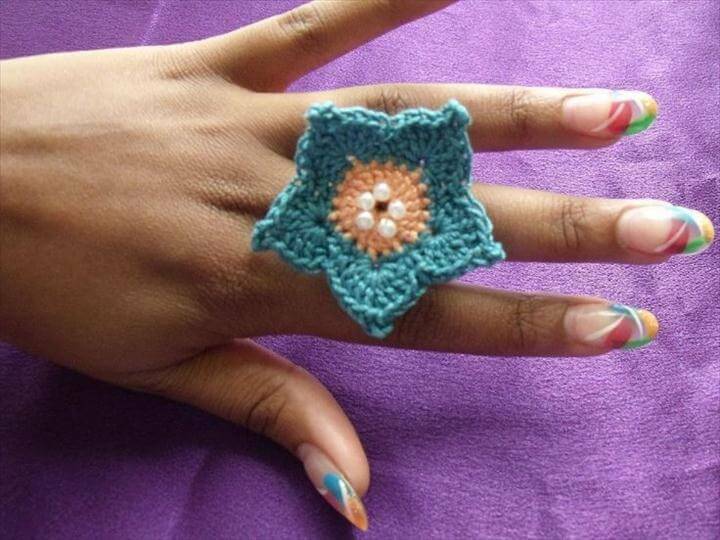 Next we have another crochet ring made with silk thread. 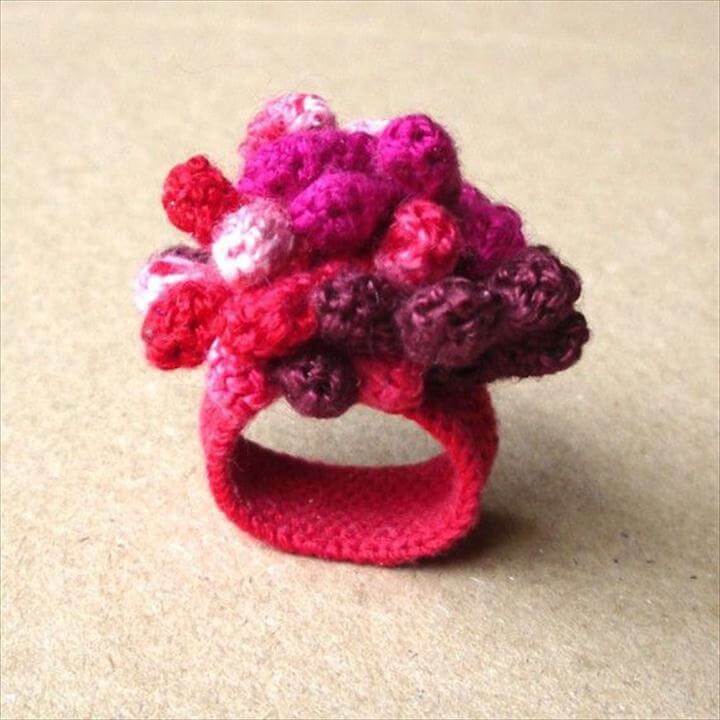 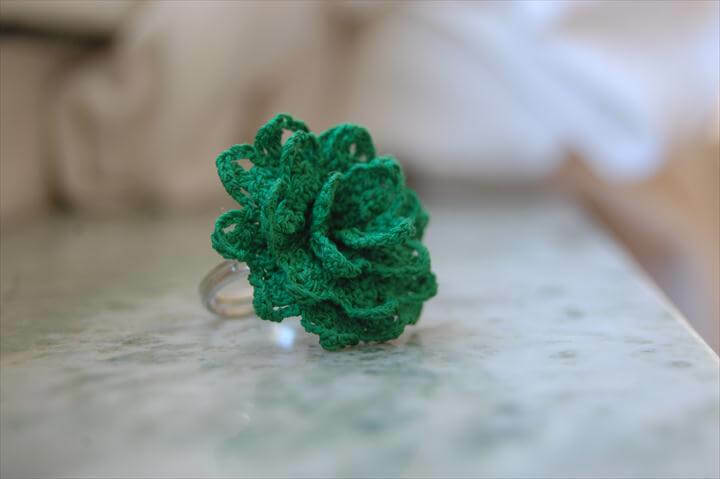 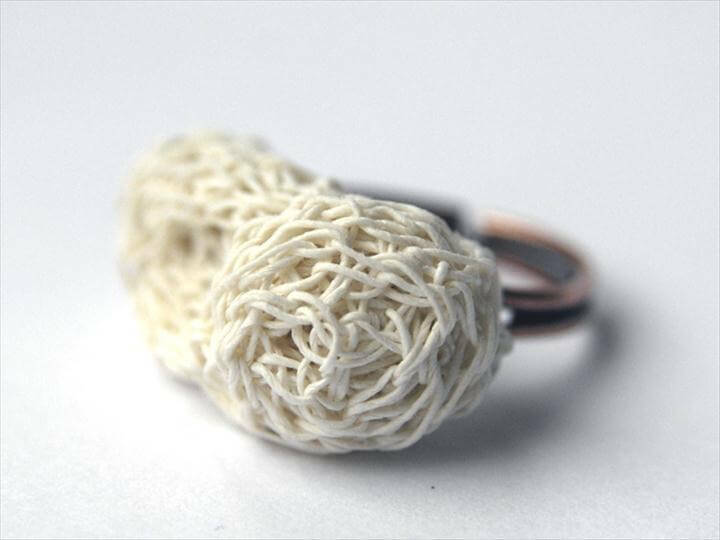 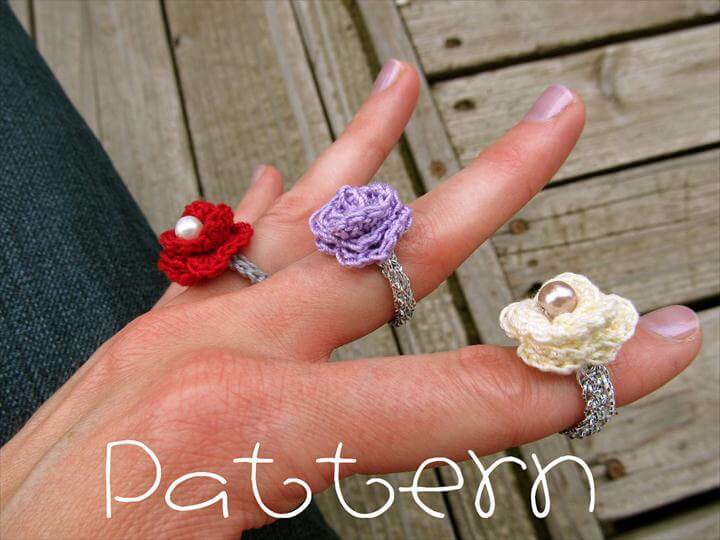 You can also make some extremely delicate and fine looking ruffle crochet rings such as this in this next project. 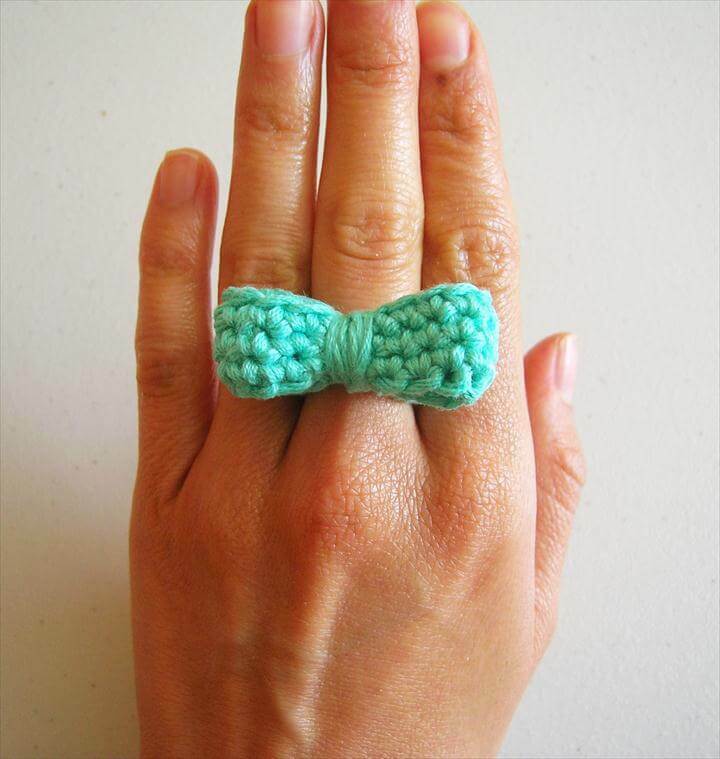 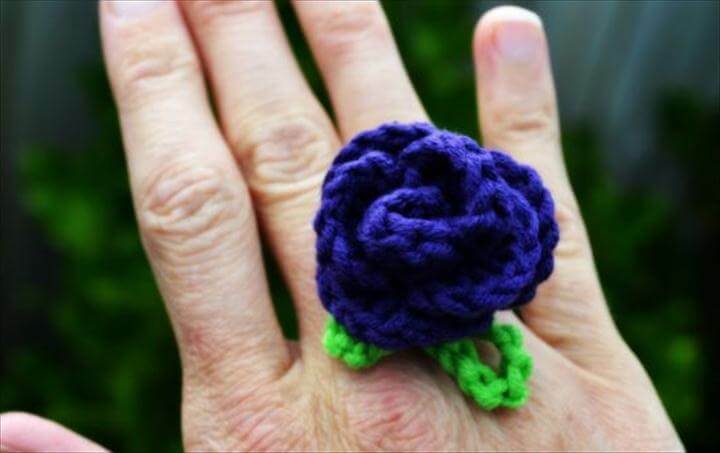 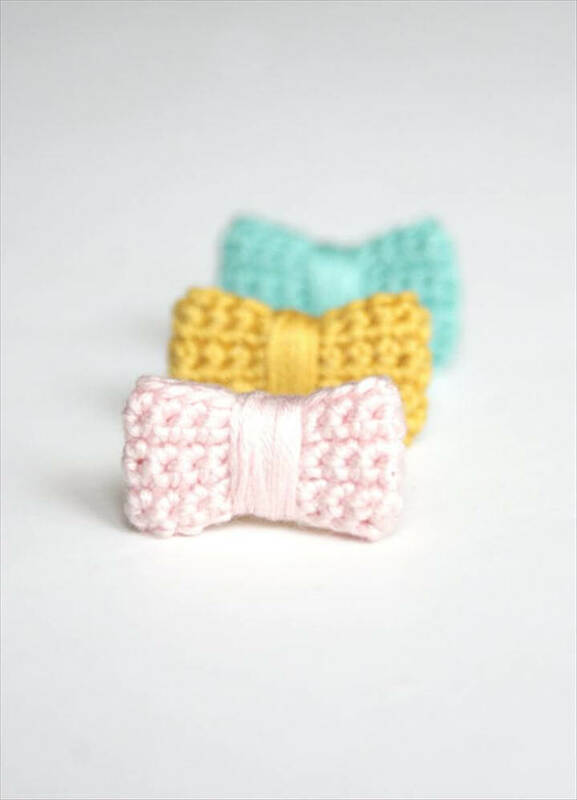 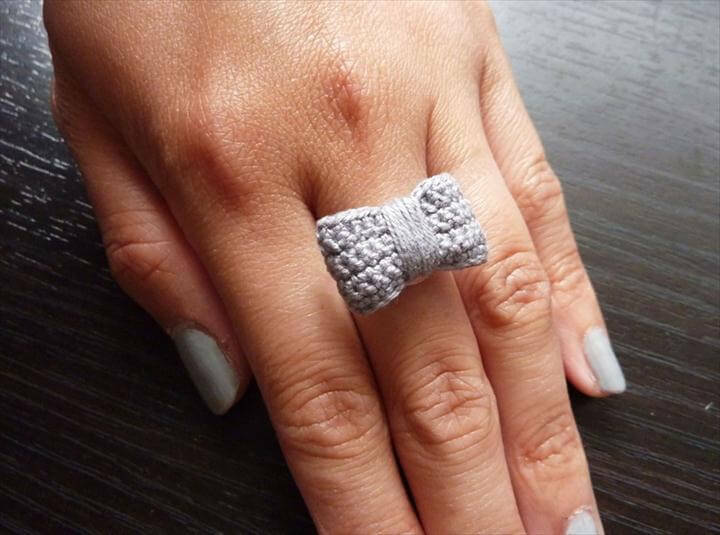 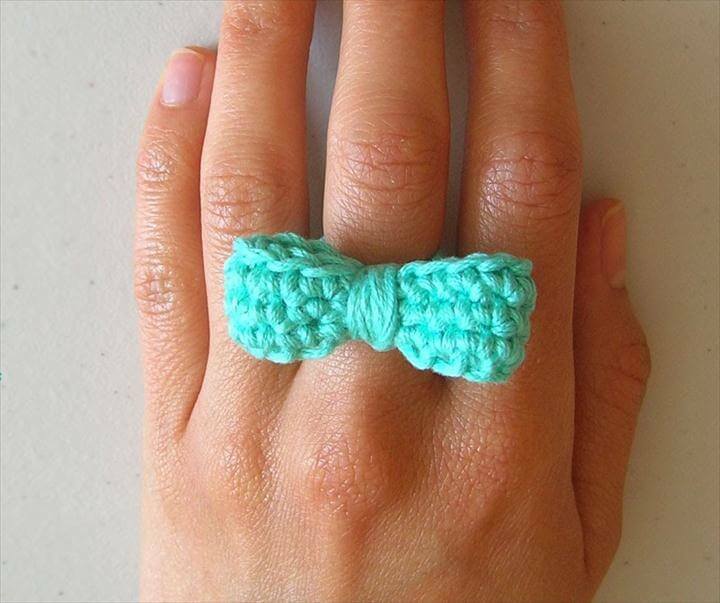 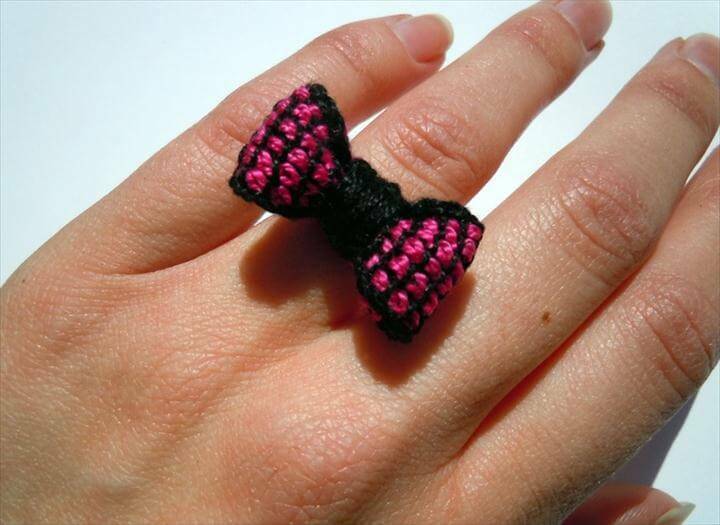 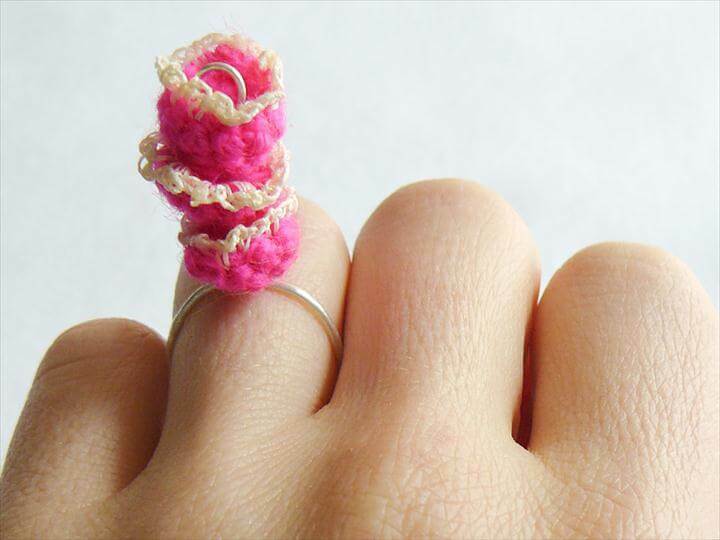 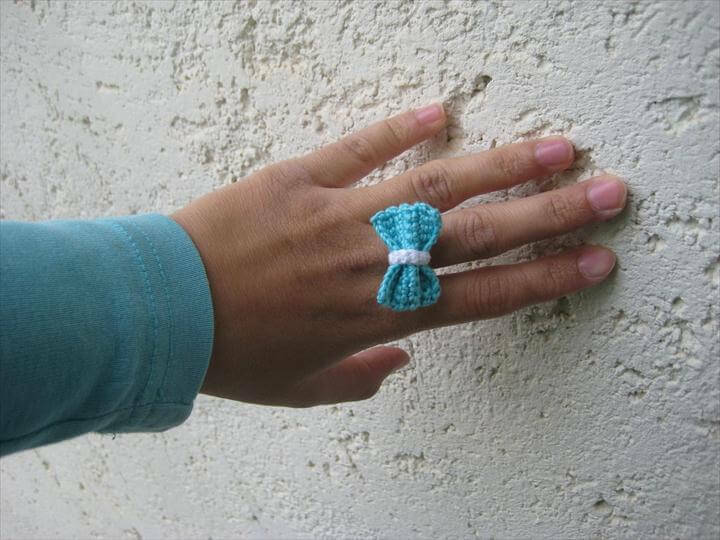 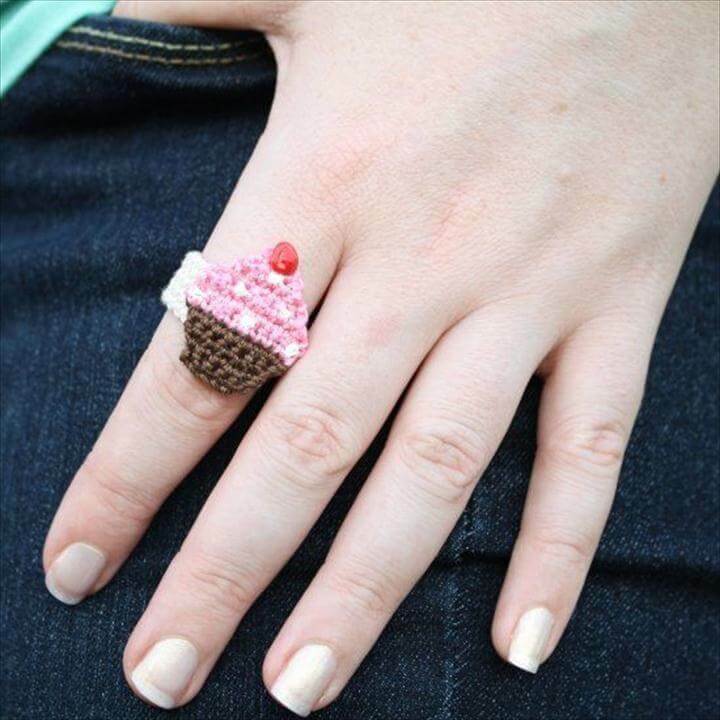 Also you can make some bow from crochet and turn it into a ring. 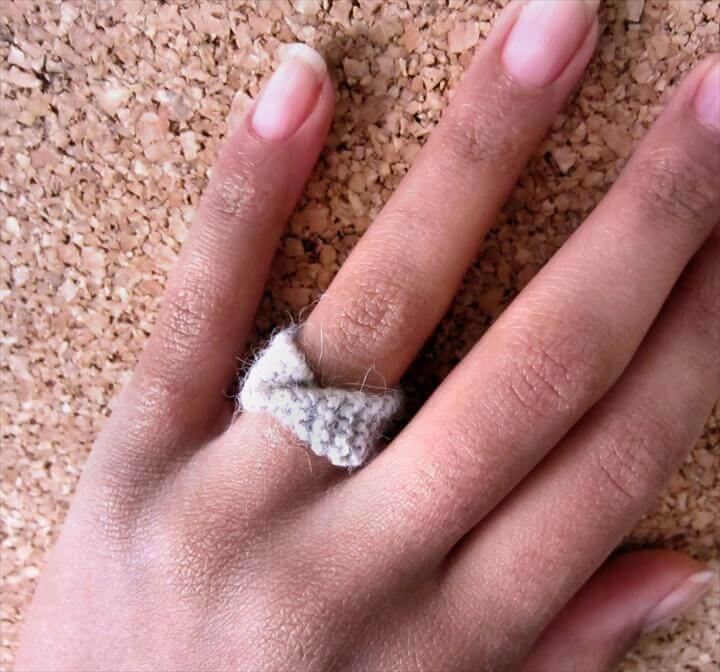 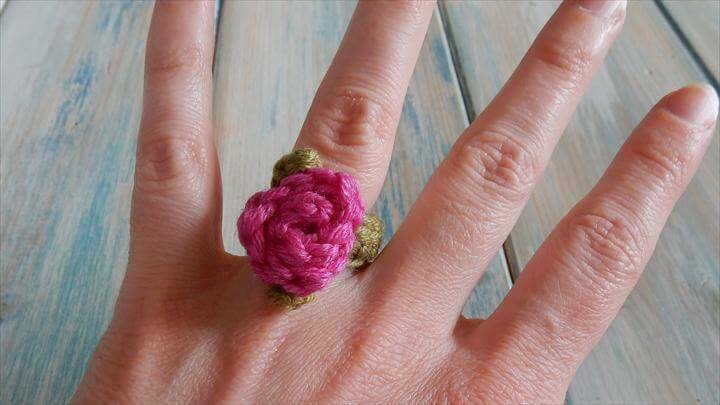 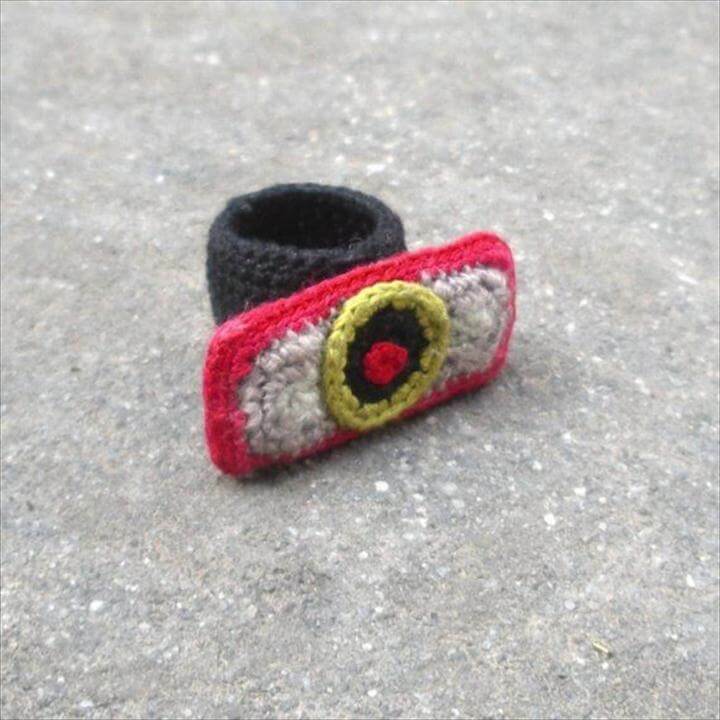 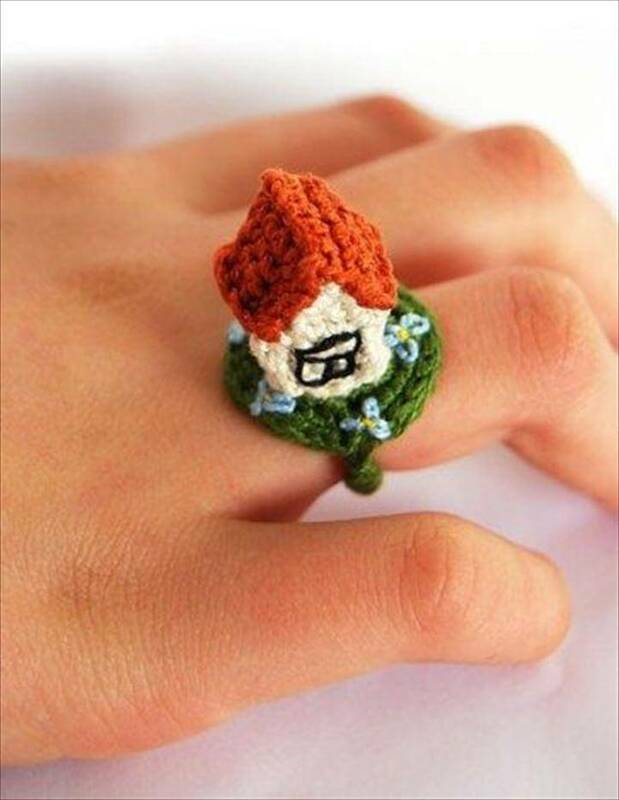 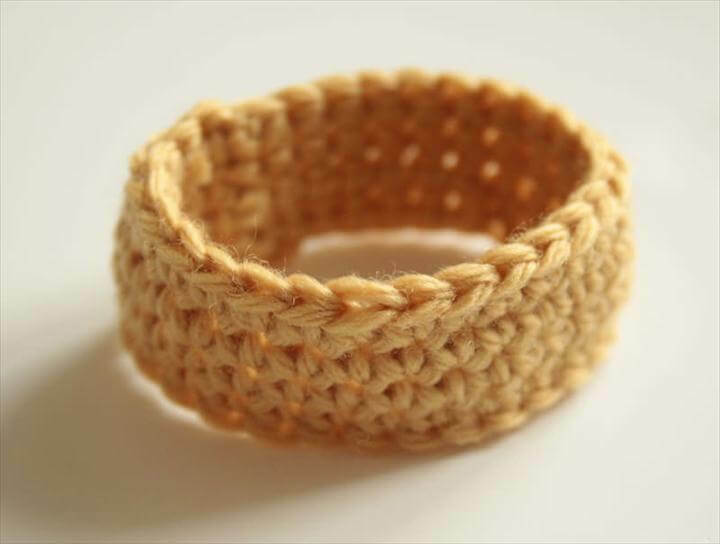 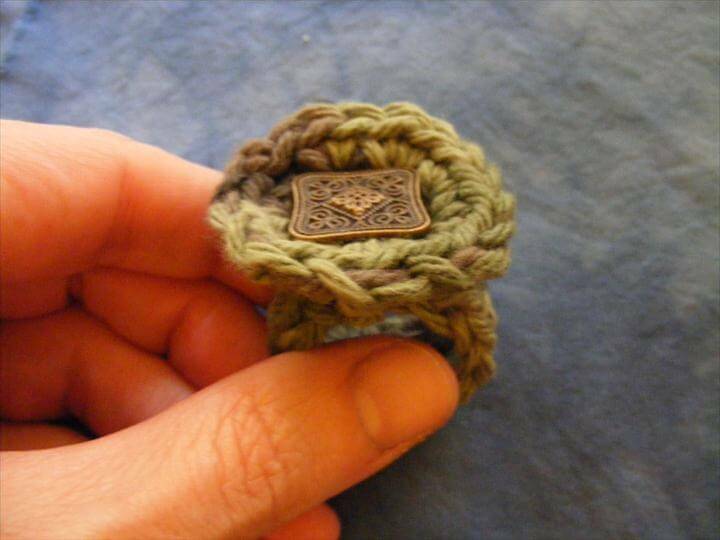 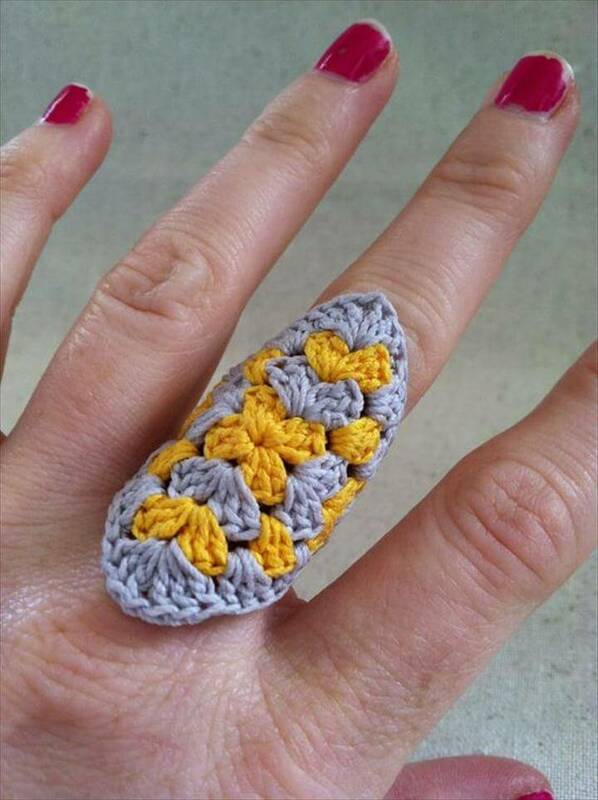 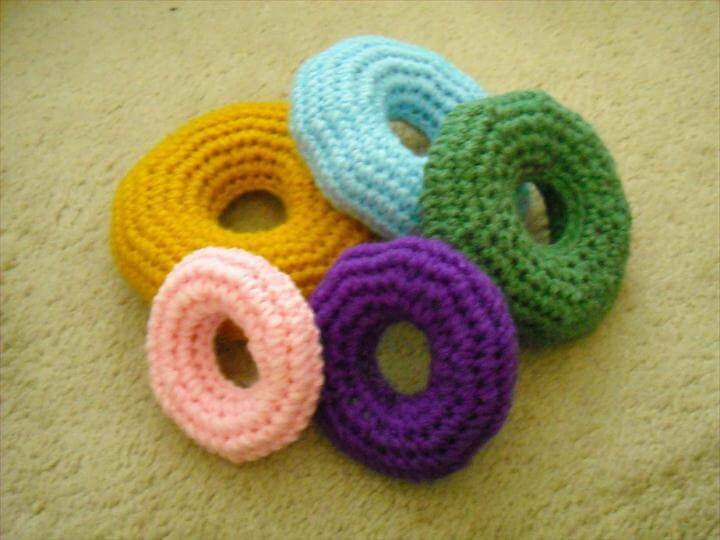 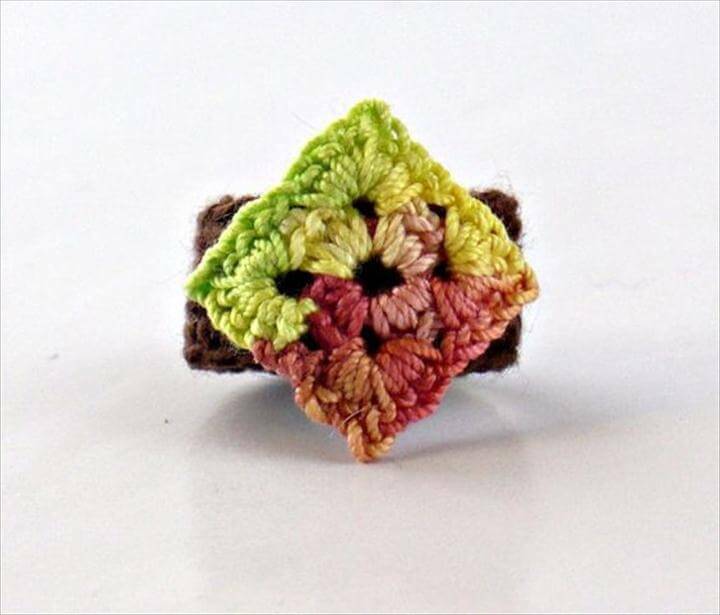 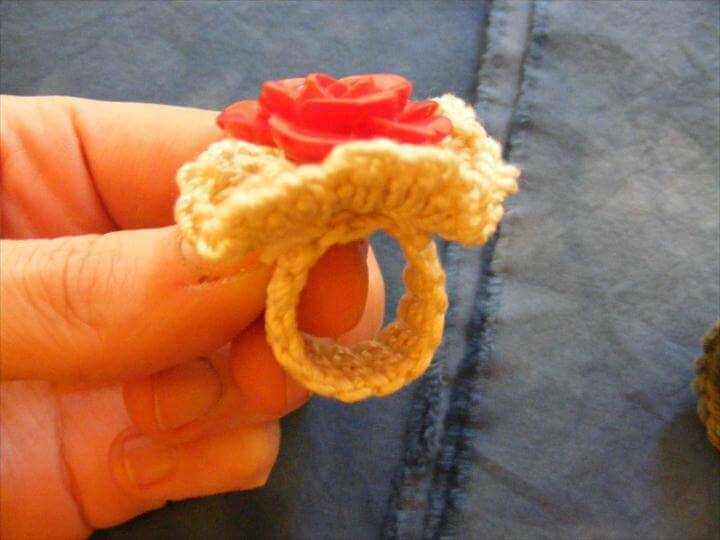 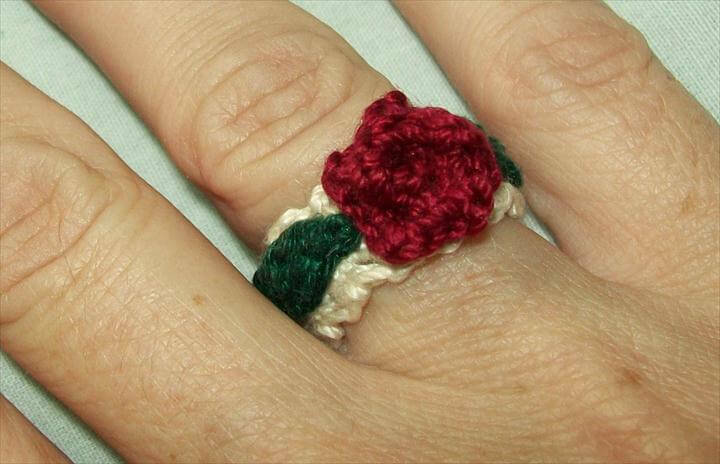 Then we have a crochet square ring in a typical granny style. 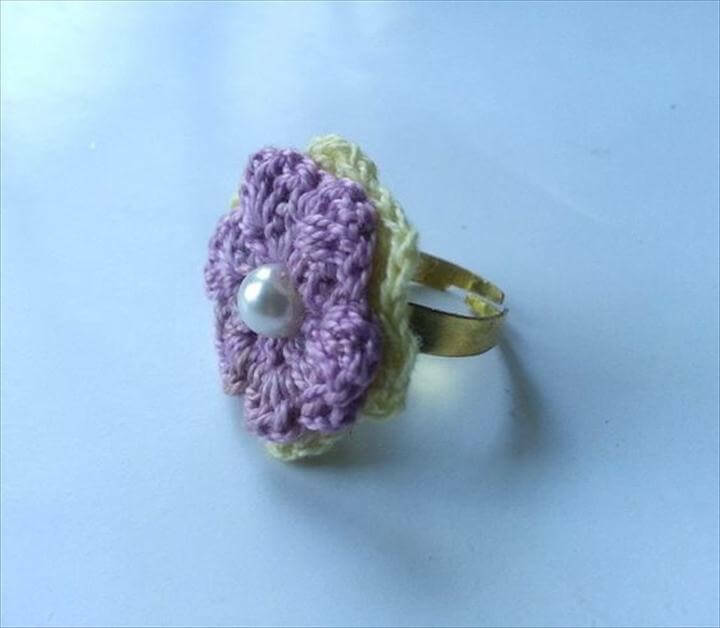 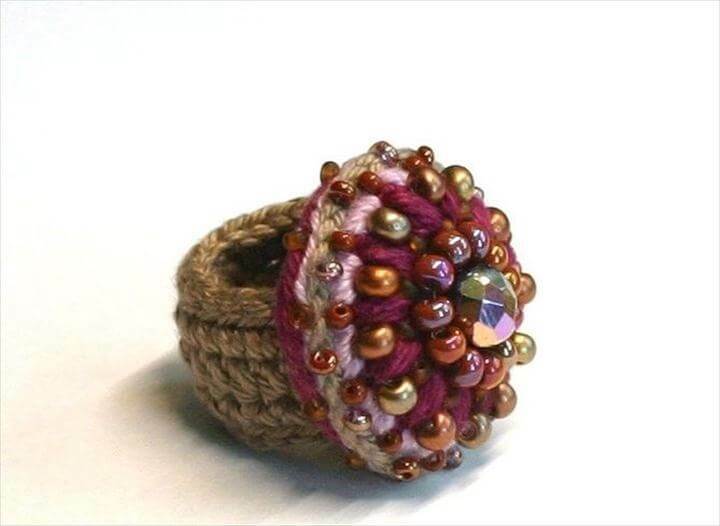 You can also add some beads and pearls to your crochet pattern while making a ring in order to add some spice to that piece. 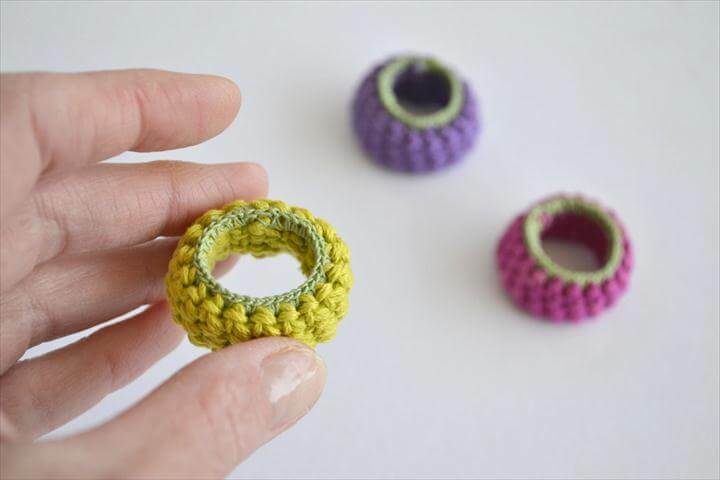 Not only you can make rings for your hands with basic crochet skills but also you can make napkin rings with it to make your dining table look more and more elegant when you have a dinner at home for your friends. 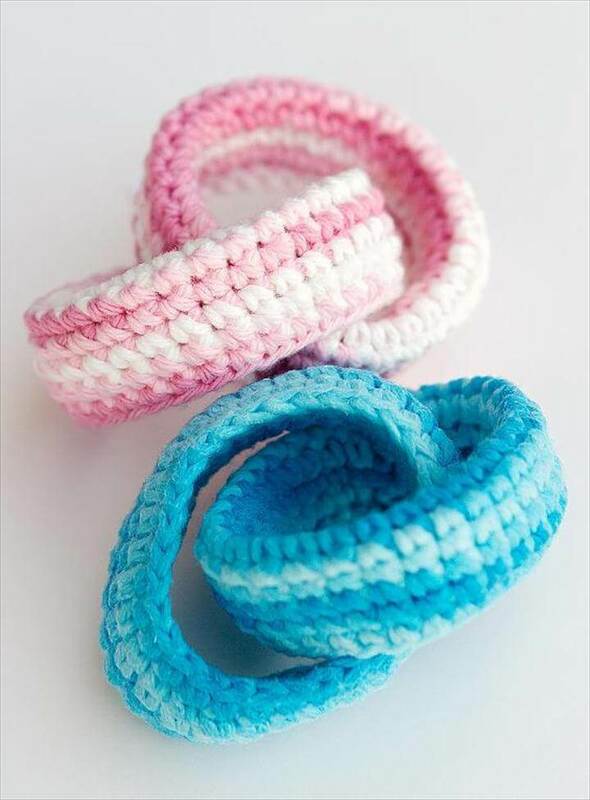 Besides this we can also make something for our babies to play with and what’s better than making some soft and cuddly crochet baby ring toy? 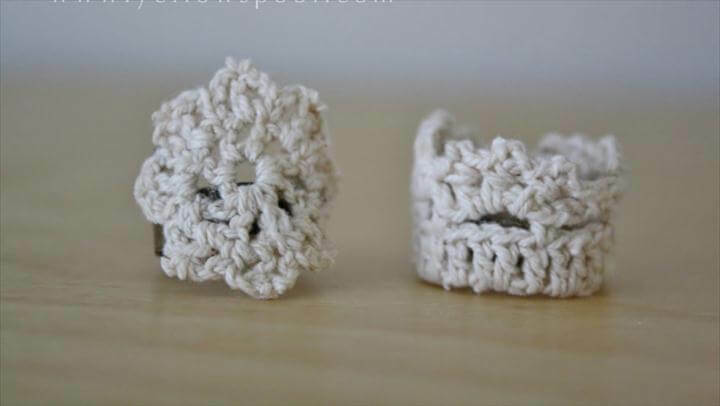 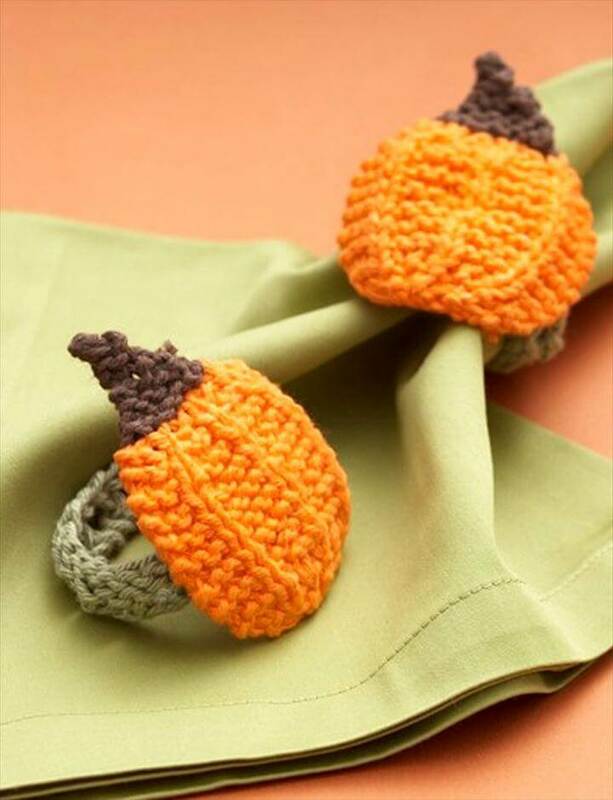 Make these in different colors and surprise your babies with these warm softies. 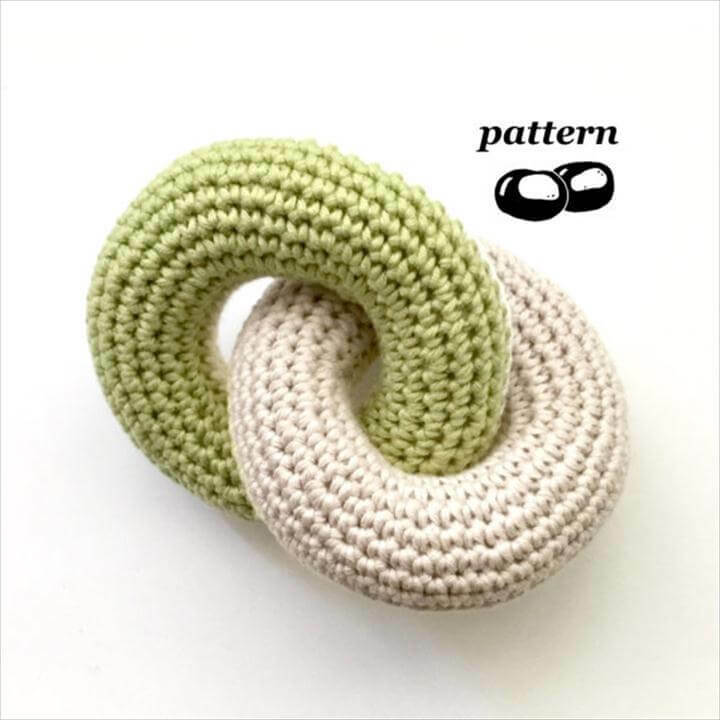 All these projects have tutorials with them in the links given below them to let you make sure about the steps to follow. 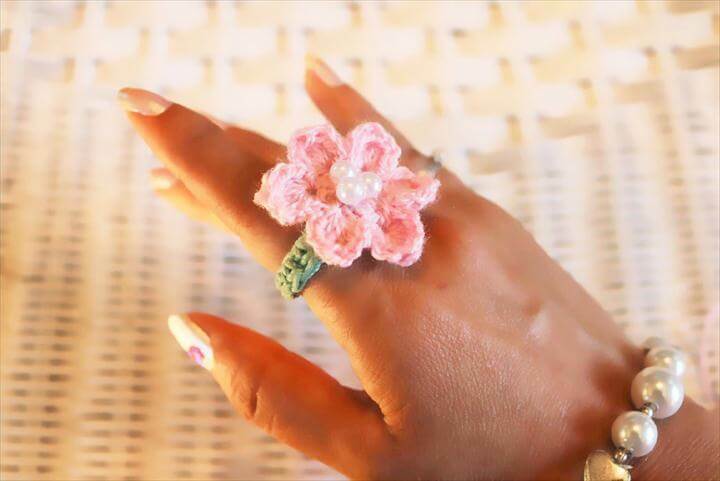 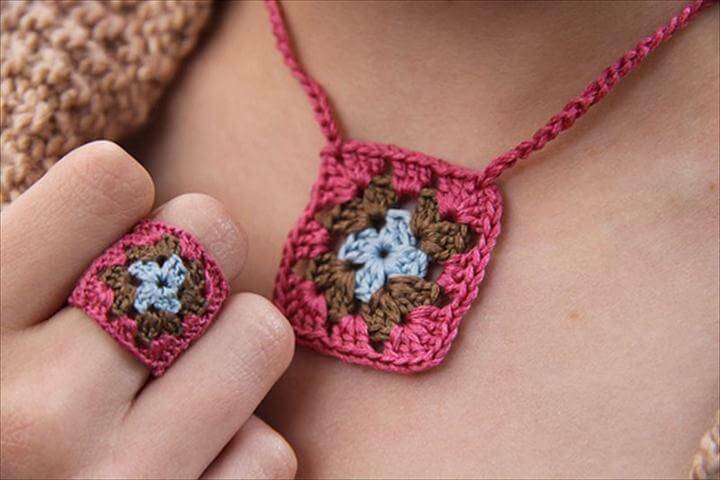 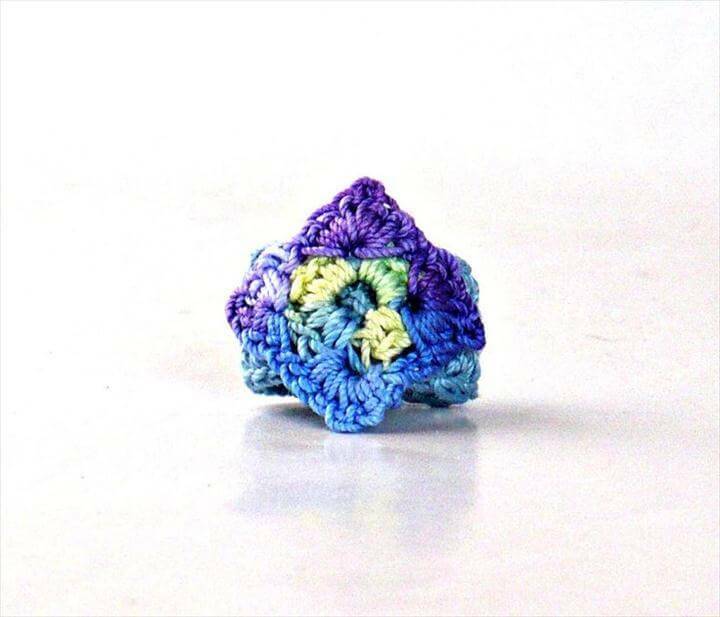 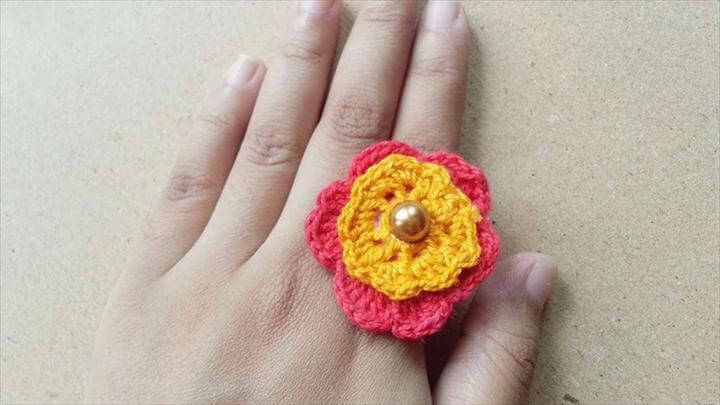 Different flowers can be made with crochet patterns as all the patterns are available for free in this mega diy crochet ring free pattern project. 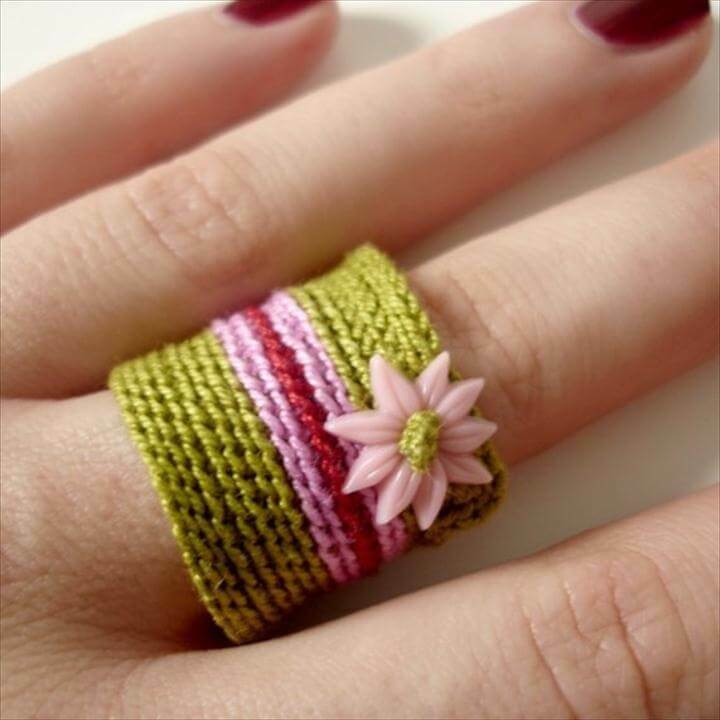 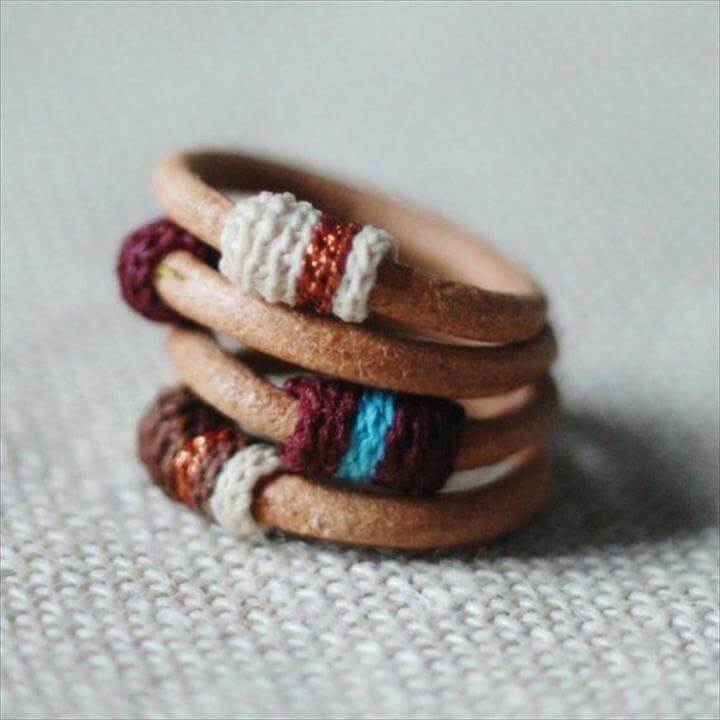 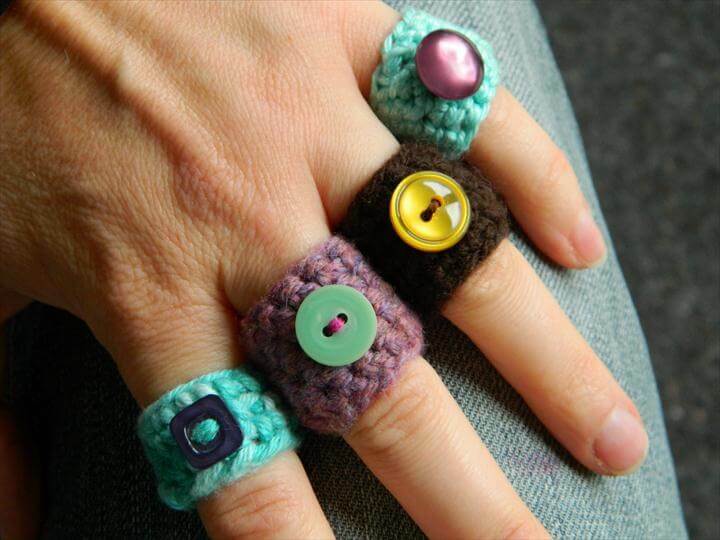 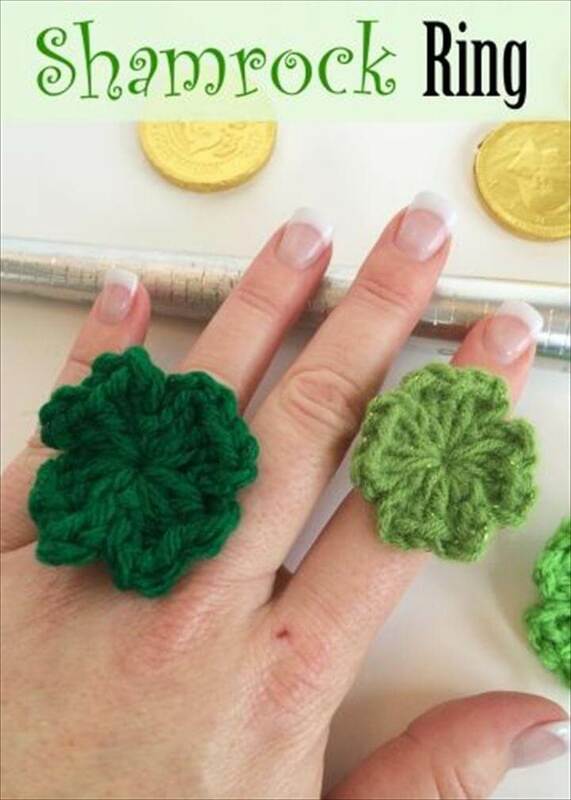 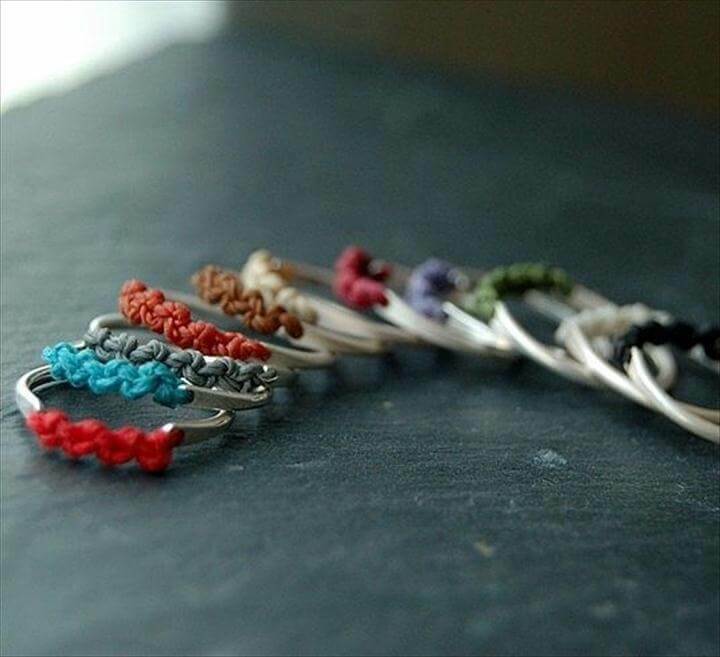 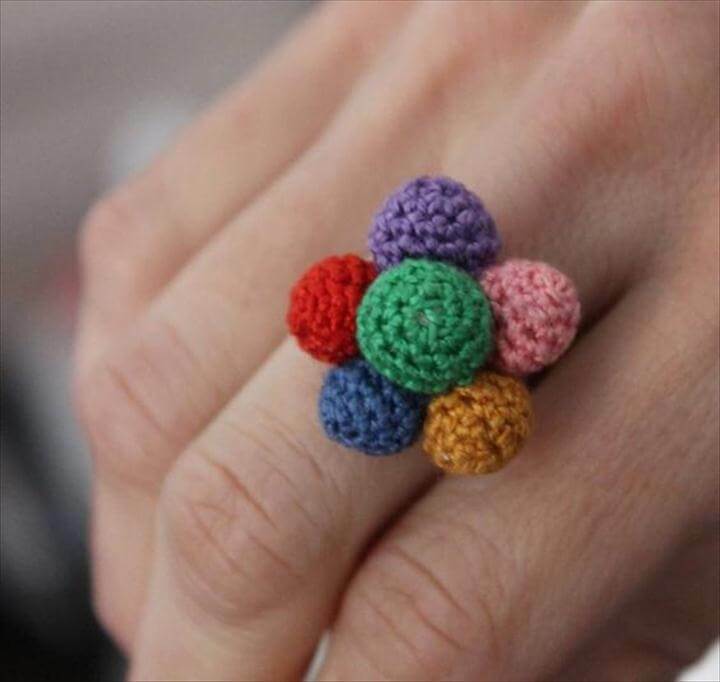 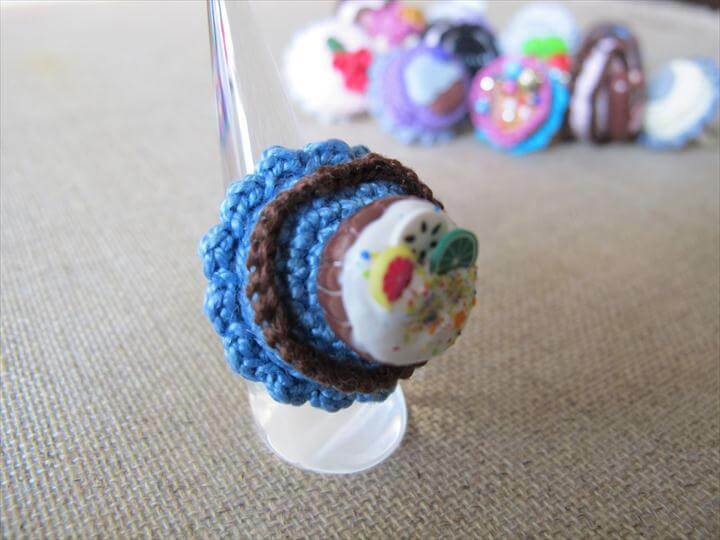 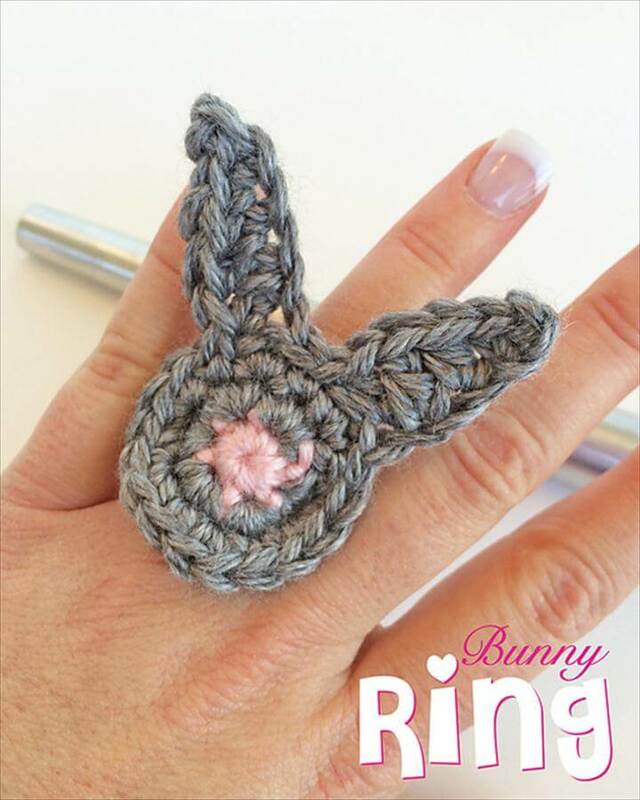 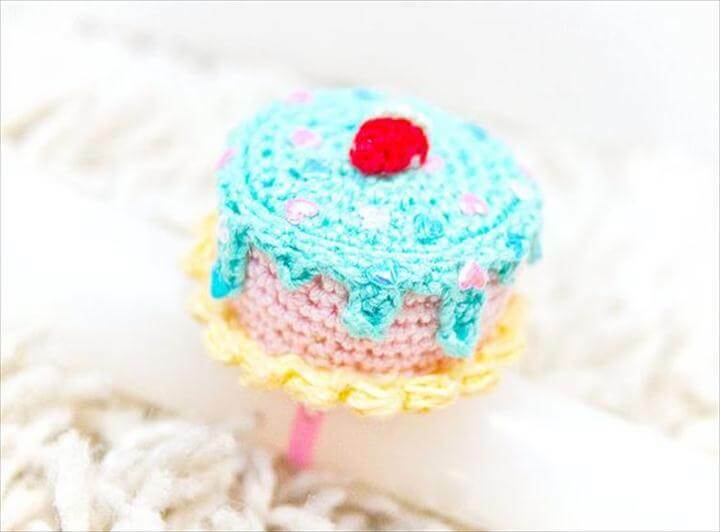 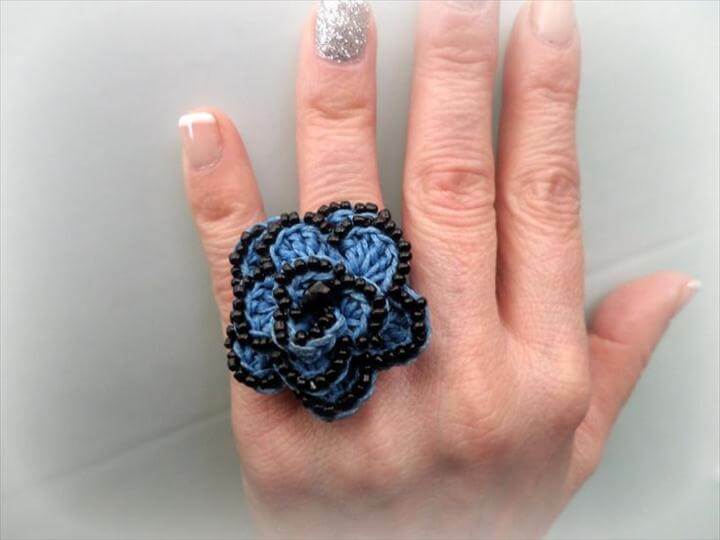 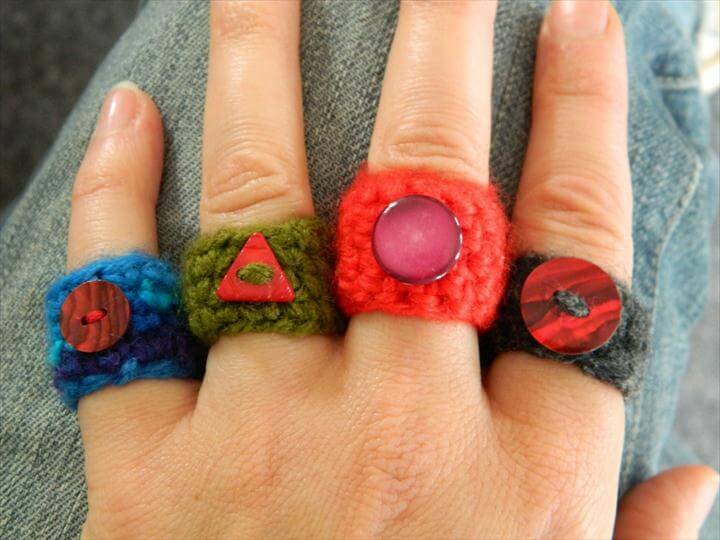 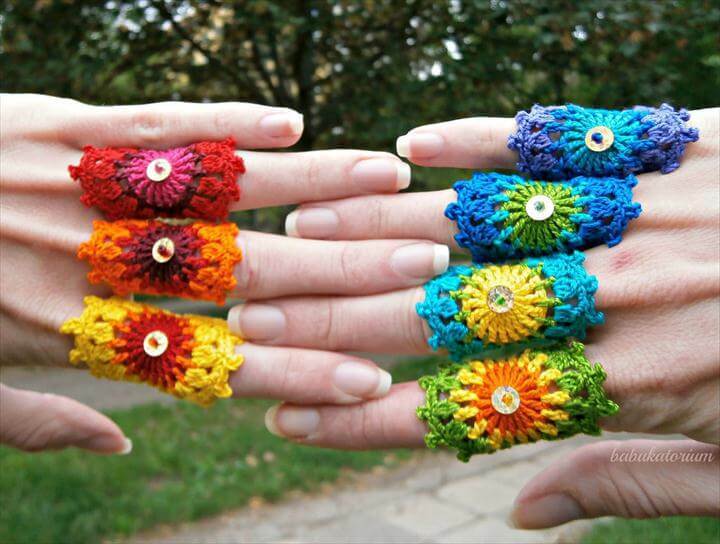 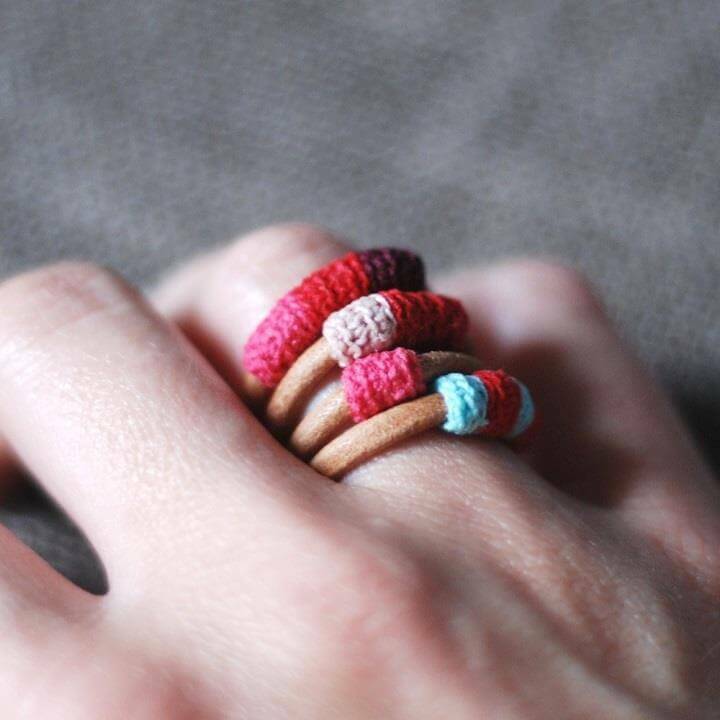 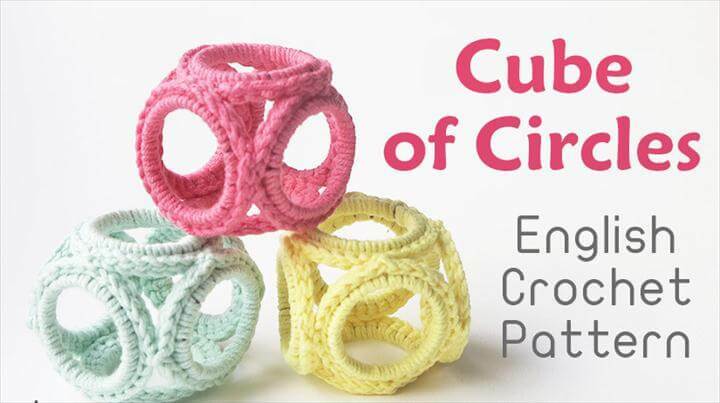 As sharing is always caring so do share these amazing ideas with your friends and sisters and make with them some beautiful crochet signature rings with your creativity and some uniqueness.